Mass analyzed highly charged ion beams of energy ranging from a few keV to a few MeV plays an important role in various aspects of research in modern physics. 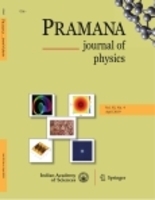 In this paper a unique low energy ion beam facility (LEIBF) set up at Nuclear Science Centre (NSC) for providing low and medium energy multiply charged ion beams ranging from a few keV to a few MeV for research in materials sciences, atomic and molecular physics is described. One of the important features of this facility is the availability of relatively large currents of multiply charged positive ions from an electron cyclotron resonance (ECR) source placed entirely on a high voltage platform. All the electronic and vacuum systems related to the ECR source including 10 GHz ultra high frequency (UHF) transmitter, high voltage power supplies for extractor and Einzel lens are placed on a high voltage platform. All the equipments are controlled using a personal computer at ground potential through optical fibers for high voltage isolation. Some of the experimental facilities available are also described.